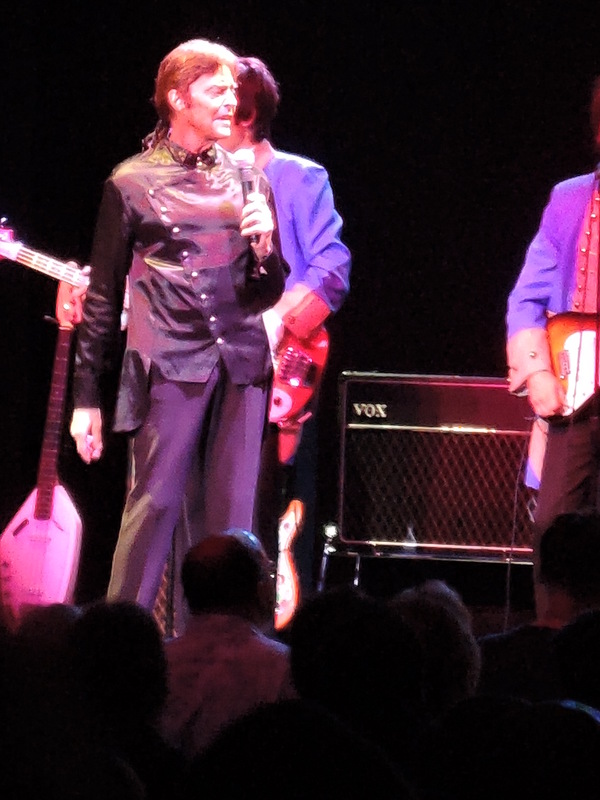 Mark Lindsay, left, of Paul Revere and the Raiders, and Mickey Dolenz of the Monkees performed the “50 Summers of Love” show July 27, 2017, at the Mayo Center for Performing Arts in Morristown, N.J. The Monkees had gone on a press junket to England in early 1967 and the Beatles had welcomed them by hosting a party at the Speakeasy Club – known as “The Speak” – in London. The party had left such an impression on Micky Dolenz that the following morning, the Monkees’ drummer decided to write a song about it. 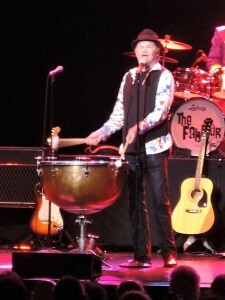 Dolenz called the song “Randy Scouse Git,” a phrase he had picked up from watching the English television sitcom Till Death Us Do Part, the British version – and inspiration for – the hit U.S. TV show, All in the Family, about the life of working-class bigot Archie Bunker and his family, which ran from 1971 to 1979. “And I didn’t know what it meant, I just thought it was funny. It sounded funny. So I named the song that,” said Dolenz. The song “Randy Scouse Git” would appear on the Monkees third studio album Headquarters, which was released on May 22, 1967, the week before the Beatles released their eighth studio album, Sgt. Pepper’s Lonely Hearts Club Band. Headquarters – the first album on which the Monkees played their own instruments and wrote some of the tracks – had gone to No. 1 on the charts for that first week, only to be replaced at No. 1 by Sgt. Pepper’s Lonely Hearts Club Band the next week. The two albums wold be No. 1 and No. 2 respectively for the next 11 weeks in 1967. But RCA Records in England would not release “Randy Scouse Git” as a single in the United Kingdom. Unbeknownst to Dolenz at the time was that a “randy scouse git” translates into “horny Liverpudlian jerk” in England, the “scouse” being a derogatory term for someone from Liverpool. The song was released as “Alternative Title” in the U.K. and went to No. 2 on the singles chart. The inclusion of “Randy Scouse Git” in the setlist was one of the highlights of the 50 Summers of Love show July 27 at the Mayo Performing Arts Center in Morristown, N.J. The show stars Dolenz and Mark Lindsay, lead singer for Paul Revere and the Raiders. The two have known each other for more than 50 years and have put together a mostly unscripted performance reminiscent of the ad-libbed Rat Pack shows that Frank Sinatra, Dean Martin and Sammy Davis Jr. performed at Las Vegas nightclubs in the early 1960s. 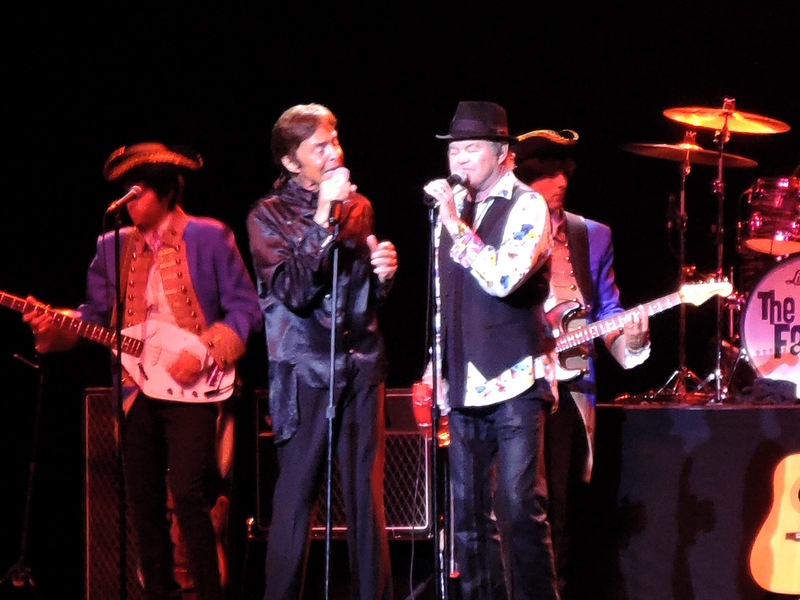 “I have always wanted to do a show a little bit more like the Rat Pack if you will, where we come out together and stay onstage together rather than do one person’s set and then the next person’s set,” said Dolenz. The Morristown gig was the second stop in the tour, which opened July 14 in San Diego, California. Dolenz and Lindsay took turns singing the Monkees and Raiders songs, combined vocals on several others, and worked in a good dose of comedy, which both said going in they thought would be an important aspect of the shows. It seems apparent that the two genuinely do like each other, and that comes across on stage. The ad-libbing works as well because the little flubs, both in the banter between the two singers or from a missed word or cue, give the performance a realistic and human quality that lends a certain charm to the proceedings. There are currently only six more scheduled shows through early November on the 50 Summers of Love tour, which includes stops in New York, Louisiana, Minnesota, Illinois and Missouri. Lindsay and Dolenz are both talented and entertaining, and the show’s premise provides for a relaxing and fun evening of music. It would be nice to see more dates added. Great read, Mike! We need MORE shows like this where artist “let their hair down” so-to-speak and we really get not only see their music talents but hear their life stories and share in their sense of humor about their worlds.